Inklings Press sits down for a chat with Morgan Porter, the newest author to feature in the imprint's anthologies. 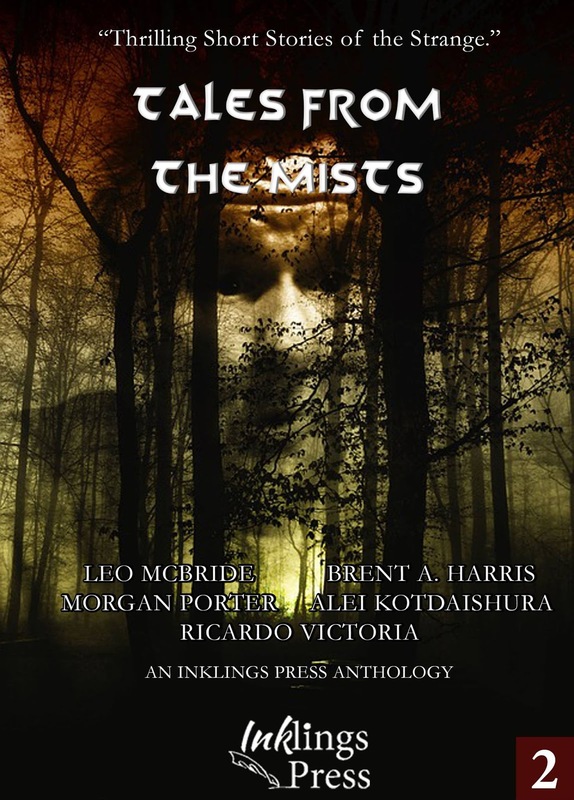 Morgan's story, The Pillar of Hendarac, is included in Tales From The Mists, the latest collection of short stories published by Inklings Press on Amazon. Hi Morgan, and welcome to the Inklings club! You join a group that is widely scattered around the globe – some in Mexico, the UK, the US, The Bahamas... whereabouts are you based, and how did you come to connect with the crew? Also, does your location inform your writing in any way? I am living in Bluefield, West Virginia but I am originally from PA. I connected to the crew through a friend who had published in your previous anthology, he basically told me I had to write a piece for this new one coming out so I did and the rest is history. I have lived in multiple places in the US and in Lousa, Portugal, mainly what inspires my stories is something absurd happening not the place in which it happens. Was there any difficulty caused during the creation of the publication by the distance between the different members of the group, and the different time zones and such? No not really, I tend to be a night owl so the four-hour difference between Brent, who was doing the primary editing, and myself actually worked out in my favor. We would be up at the same time (times? Does one take into account time zones when speaking about a fixed general universal vs a grounded man-made construct?) so we could pretty much bounce ideas back and forth in real time. Tell us more about how you got started in writing – how long have you been a writer and what is it that drives you towards it? I haven't been a writer in a professional sense for very long, this is actually my first published story outside of school publications, but I have been writing on and off for most of my life. I like to write, it gives me an outlet for any odd thoughts I have that I think need to be jotted down somewhere. So, Tales From The Mists is a horror-themed collection – is horror the natural home for your writing? Tell us some more about the kind of writing you do and what draws you to the genres you write in. I like horror and I am at home writing it, but I prefer comedy, I was originally going to go humorous in my horror story but I couldn't get the tone right in my first few drafts so I went with a more traditional weird fiction Lovecraftian motif, if we do another one next year I will work towards a more early Sam Raimi/David Wong-style story. I think about the only thing I can't write is a love story, they bore me, the closest I ever got was a story about my car deciding to break up with me and drive away over putting the wrong type of gas in it. 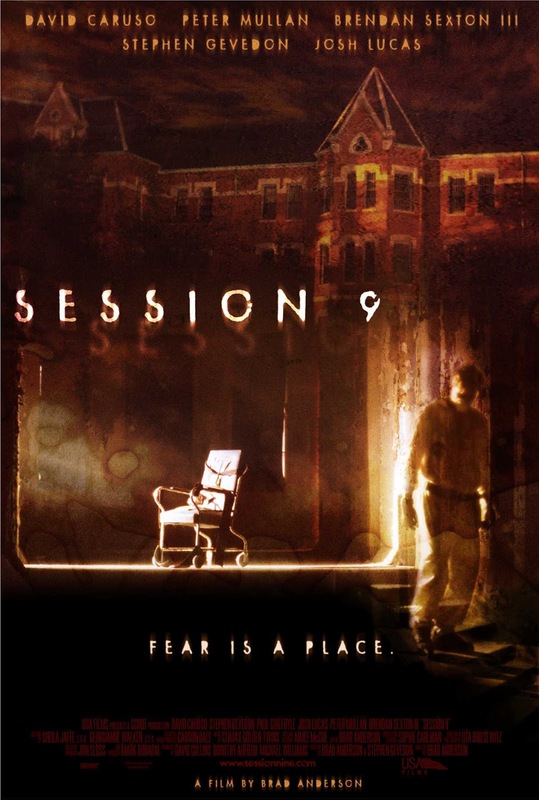 What is it about horror that works for you? What makes you tingle? I have always loved cheesy horror movies and stories of the macabre. I have always loved the special effects in movies, monster make-up effects, haunted houses. It's not really scary for me, horror is more exciting than well horrifying. I think the horror tales that give me the closest thing to a fright are the ones that don't have easily identifiable villains, the twist ending where the protagonist turns out to be the true evil mastermind, or the heroes go crazy and land up doing more damage to themselves then any monster could, are just so much more interesting to me. I said before that Session 9 is one of my all time favourite movies mainly because the movie itself wasn't all that frightening but the implications of how the entity moved around was truly horrific and extremely plausible. 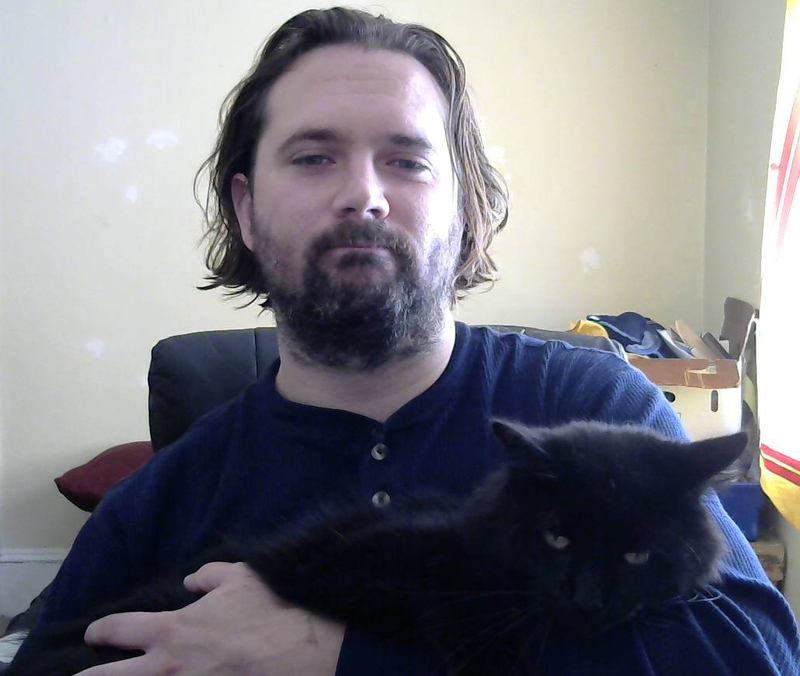 OK after all that rambling I think I finally have an answer, the horror that makes me tingle is the horror that could actually happen without a great deal of outside help, a good psychological horror can keep me up during the day. In our other Q&A with all the authors on the subject of horror, you talked about François Viète “whose works lead to countless terrifying hours of trying to figure out how a letter could also be a number and the dreaded Q.E.D”. OK, I gotta know more – what's all that about and where does a reader dive in to find out more? It was a joke, François Viète was considered a father of Algebra, I hated Algebra in school, and basically any form of math or science that used it. I am a divergent thinker and Algebra goes the wrong way for my brain it goes to the specific detail where as my brain goes towards the general applications of the entire equation so it was a horrible fit for me. I loved Calculus, because it goes towards practical application not specific detail, and if I had known Calculus was as much fun as it was I would have asked to forgo taking Algebra entirely and would have asked my teachers to teach me how to do the problems in Calculus as opposed to Algebra. Q.E.D. Always bugged me because it wanted you to Prove Your Work... but the equation was already there, smarter men and women then I had tested it to hell and back, what was the point of having me test it as well? And the worst part was then on tests where the teacher gave you these long chains of equations and asked you to prove how another equation was derived from it... without EVER teaching you how to do so in the first place. I spent so much time with tutors and worksheets and being miserable because I just didn't see the numbers the way I was supposed and no one seemed to be able to make Algebra make sense at all, that I never wanted to have anything to do with that particular mathematical field ever again. So yeah, an Algebra book would probably be the most horrifying book someone could put in front of me. I am going to beat you with an Algebra book! What are you reading at the moment? And what's the best book you've read this year? An Algebra book, just kidding, I am reading The Long Earth by Terry Pratchett and Stephen Baxter, the best book I ever read... hmm... its a toss up between The Hitchhiker's Guide To the Galaxy Series by Douglas Adams, The Discworld Series by Terry Pratchett and the Drenai Series by David Gemmell. Have you been published before? If so, where might readers find your work and, if not, how does it feel to have gone through the process from submission through editing to holding the published product in your hand? I have never been published, but I have had things added to school “How To” books and if the place is still in business I translated a menu for a restaurant in Lousa, Portugal. So Tales From The Mists is published now – with some very nice reviews coming in! What comes next for you? What are your plans? I have started my next story for the next anthology, although with the way it is shaping up it may go longer than a short story, so we will see how it goes with it. Splendid. And one last thing, for the people who have just finished reading this and having a hankering to go read something new – your best recommendation for a book for a reader to go pick up next. It would depend on the reader, John Dies at the End is a fun one by David Wong, it's about two slackers who have to save the world from an inter-dimensional horror, very funny. Any of the series I mentioned above are also good. If you want to stay in the same vain as the anthology, The Necronomicon , it is a collections of stories by H.P. Lovecraft, and is pretty entertaining. Thanks for having me and I hope you all enjoyed my tale. Tales From The Mists is available on Amazon here, featuring Morgan's story The Pillar of Hendarac as well as stories by Ricardo Victoria, Alei Kotdaishura, Brent A Harris and Leo McBride. You can follow Morgan on Twitter here.